Country chic weddings are becoming a popular choice for modern young couples who love nature and simple wedding ceremonies. Let’s have a look at the key elements to have a country wedding with a twist of glamour. 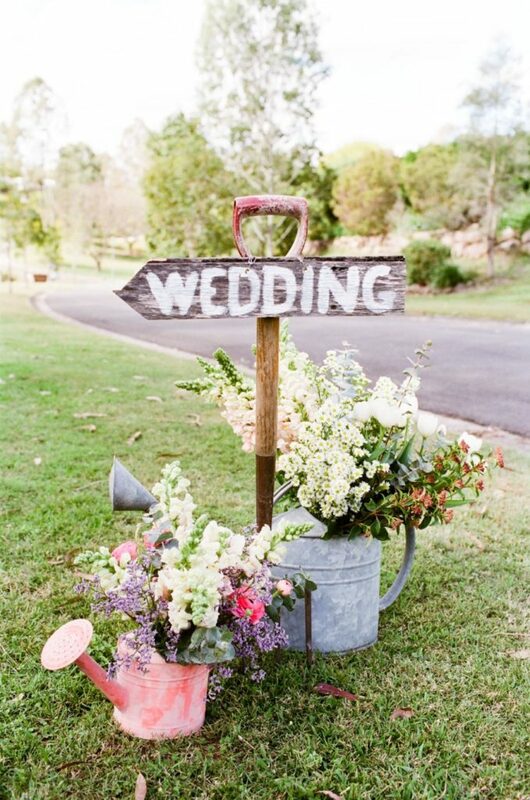 Ranches, farms, vineyard and barns are perfect locations for a country chic wedding. If you are celebrating your wedding in the city, a reception in a garden could work great and adapt to a rustic theme with the right decorations. 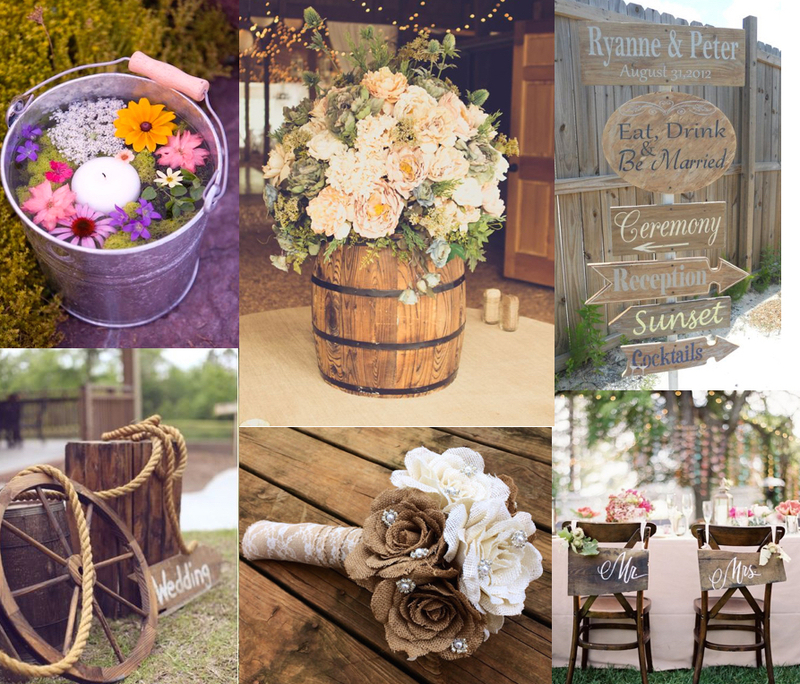 When it comes to country chic wedding, the selection of the right decorations is essential. 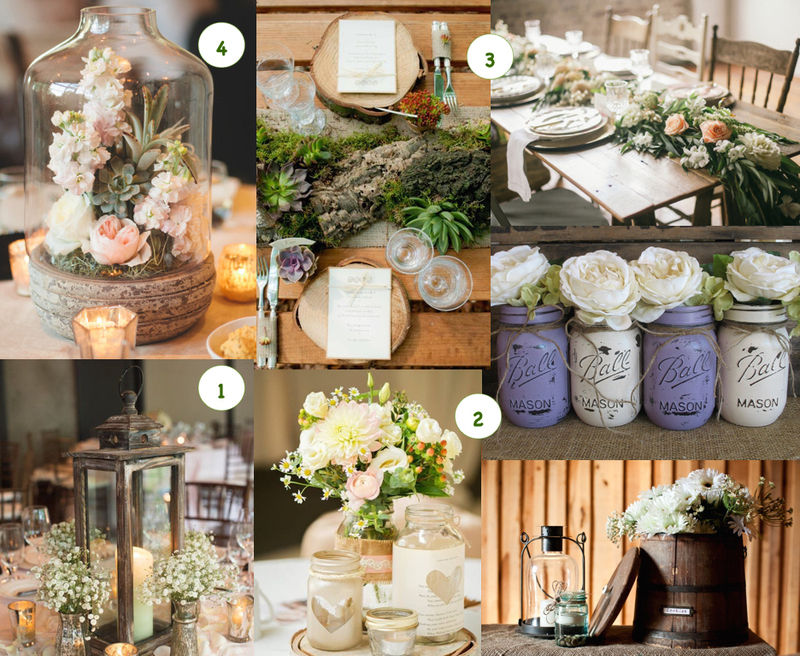 In general, country chic wedding decor favors a natural color palette inspired to earth. 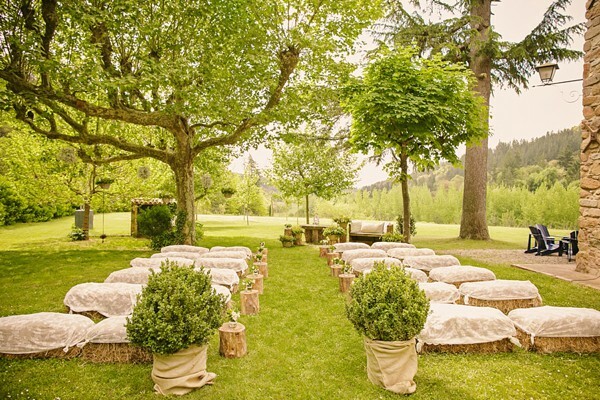 The best materials to obtain a country-rustic feel are wood, burlap, and linen. #1 Place name tags in numbered plant pots. This could be an easy DIY project for a budget wedding. You need plant pots, sticks and labels. The plant pot can be displayed on a vintage ladder, or wine barrels. #2 For a country chic looking seating chart you can use a nice frame. 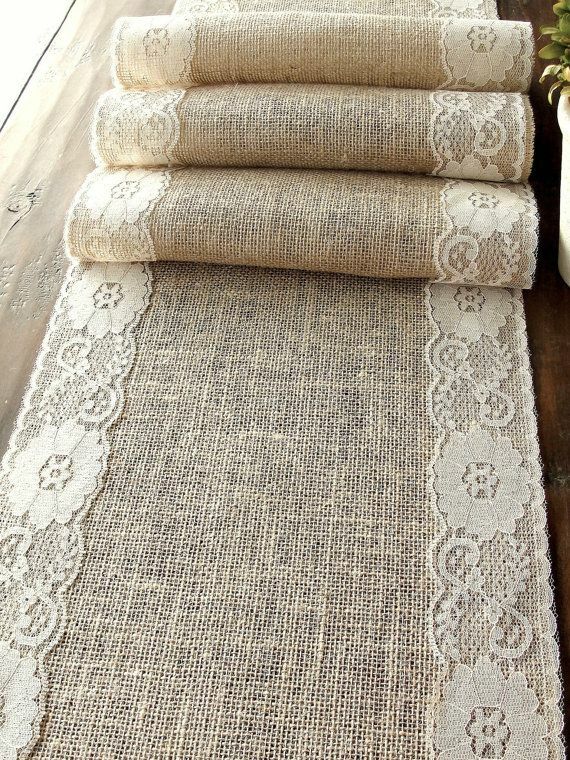 Use burlap as background to add a touch of country feel. A wire net (2) is an amazing alternative to burlap jute fabric to hang guest’s name tags. #3 Here’s another amazing DIY! 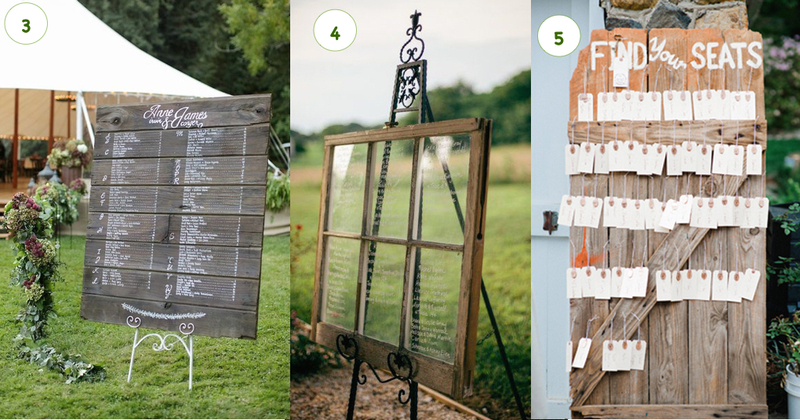 List your guest’s names on a wood panel and place it on an easel. #4 Window panes are becoming ever more popular. Simply recycle an old window, and list the names using a white pen. #5 For a rustic feel, using a reclaimed wood door with name tags displayed all over it is very effective. 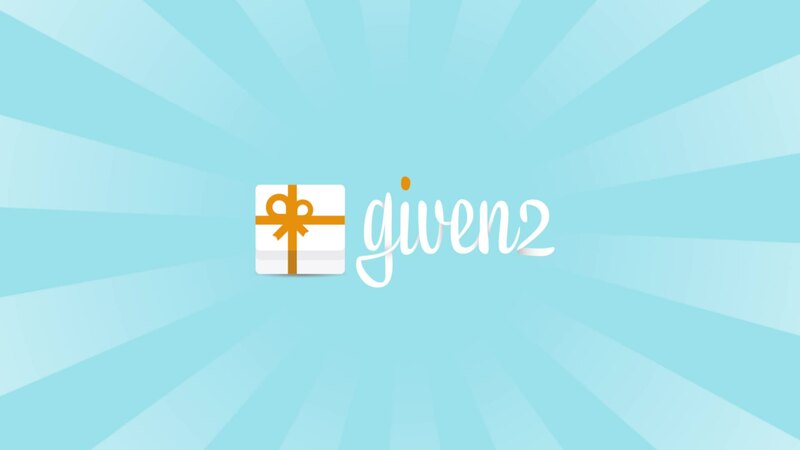 Haven’t found your favorite seating chart yet? Have a look at these other options. White linen tablecloths with lace inserts bring a sophisticated touch to the wedding table. 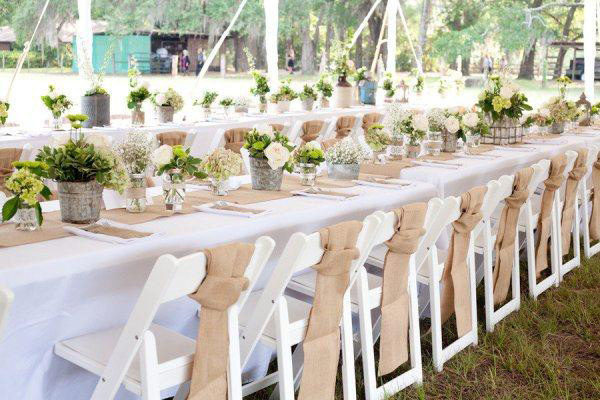 Burlap table runners and chair sashes add the country feel. Are you ready for the fun part? 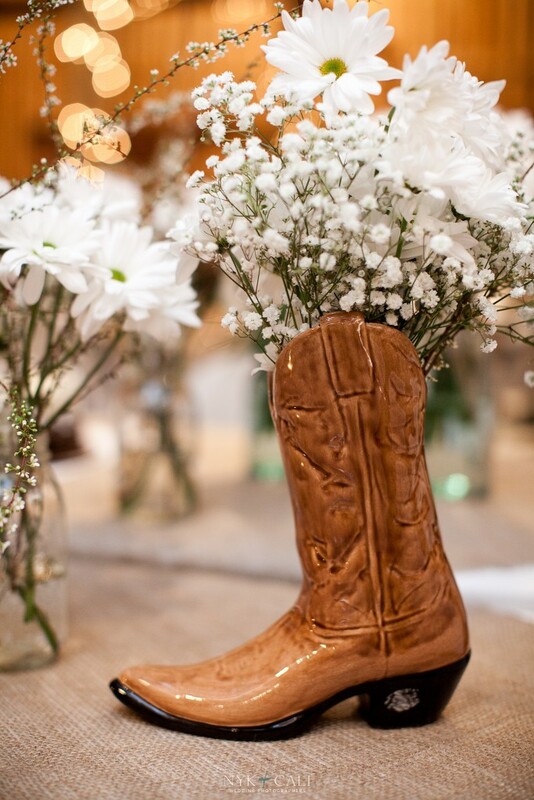 Here is a list of centerpieces that are perfect for a country chic wedding. #1 Lanterns filled with pillar candles or wildflowers set a romantic country chic scene. #2 Jars tied with twine and filled with wildflowers are original country chic wedding centerpiece ideas and budget-friendly decorations. 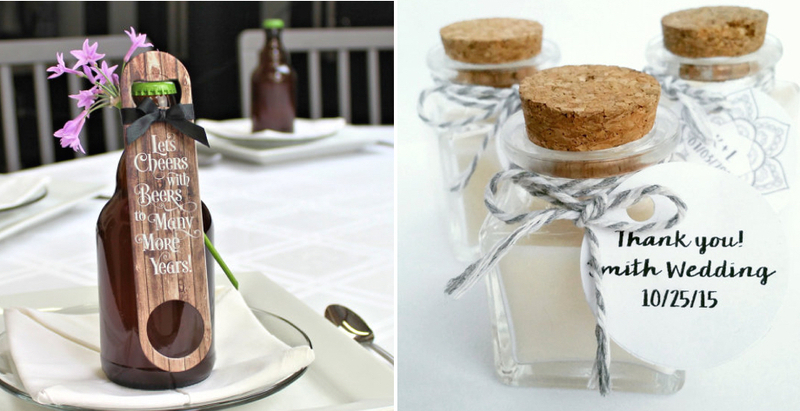 As an alternative, consider painting the jars to add a touch of color to the wedding table. 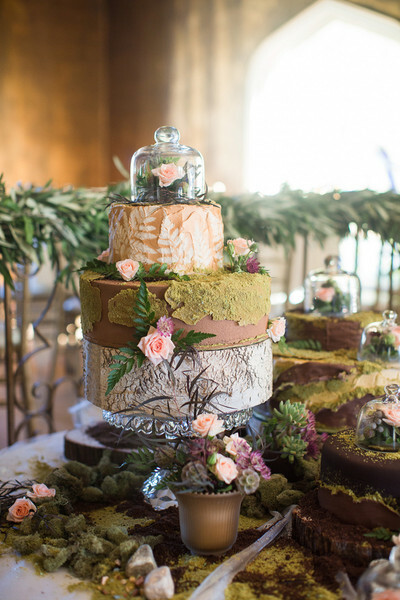 #3 Bell jars and terrariums are trendy and stylish country centerpieces. Display flowers, greenery and succulents inside the bell to add a charming touch to your reception table. #4 If you want your wedding guests to stand in awe, then you should try tree branches embellished with succulent, greenery and flowers to add modern rustic charm to the table. 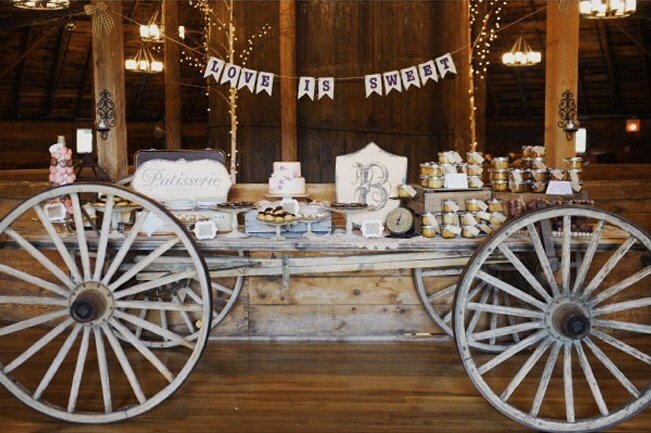 To add a country chic feel to the reception decor, you can include bundles of wheat, flowers buckets, wine barrel-bouquets, wheel wagon, and water pitchers filled with lavenders flowers. Wooden signs are a nice aid for guests to find their way. Naked cakes are a perfect choice for rustic weddings. Instead of frosting the outside of the cake with buttercream, the new trend is to leave layers exposed. Usually bakers garnish the layers using natural elements such as fresh flowers, branches and fruits. 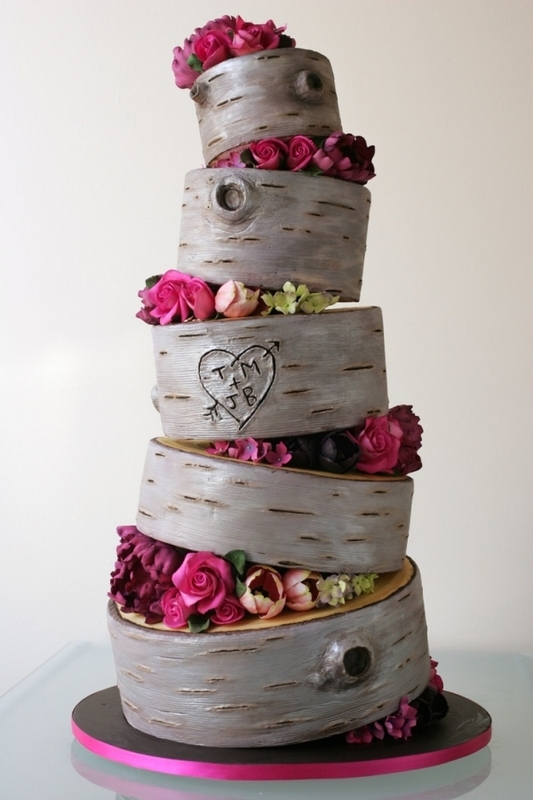 As an outstanding alternative, consider having a birch-inspired wedding cake with carved heart initials. 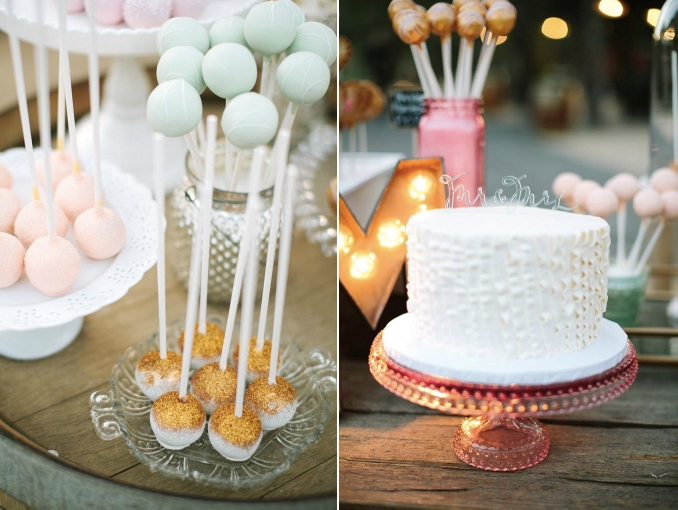 Dessert table are becoming a popular choice for foodie couples looking for an alternative to the classic wedding cake stand. 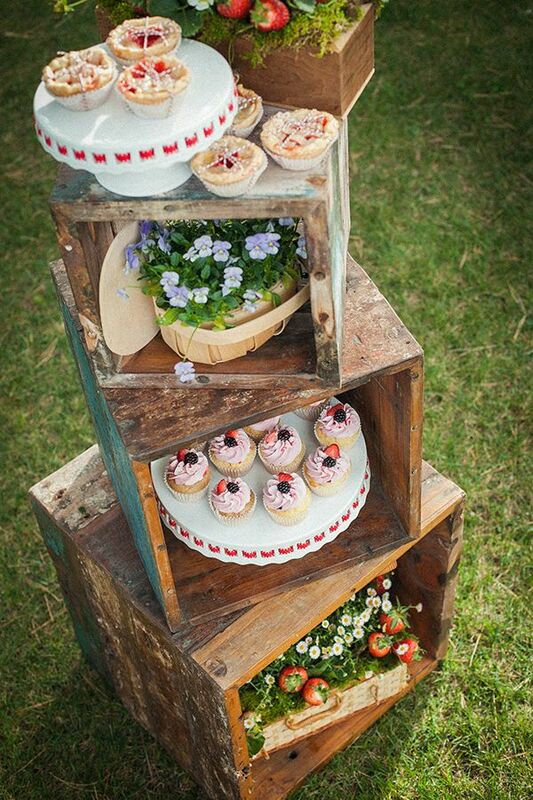 Wooden crates are useful to display cupcakes, candy and sweets. 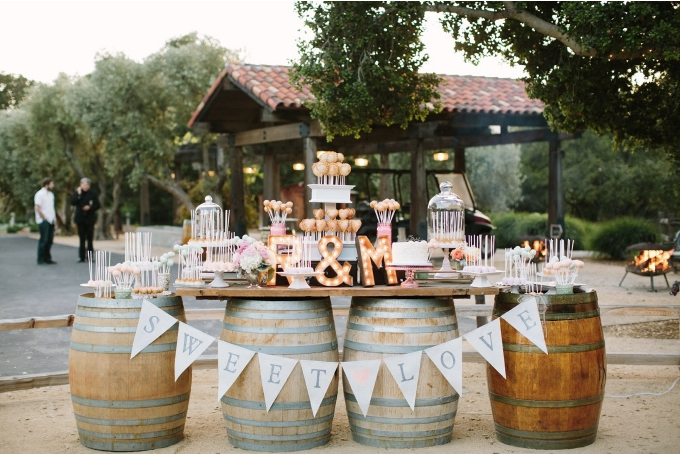 Place a vintage table on some barrels to display the desserts on wood stands. Printed banners will add a country touch to the dessert bar. Looking for something more romantic? Lace doilies under colored dessert stands add a charming touch to your dessert table. 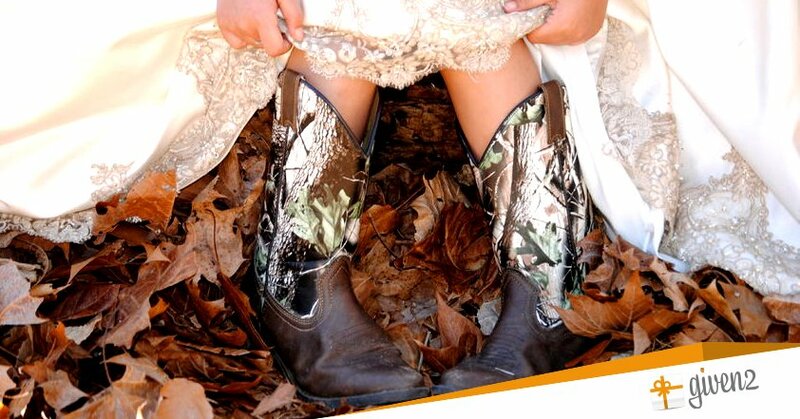 Here is a list of perfect wedding gifts for a country chic wedding. #1 Fresh strawberries and scone baskets to be enjoyed the day before the party. #2 Artisanal honey and jam are great favors loved by adults and kids. #3 Succulent are cute eco-friendly wedding favors that are perfect for a country chic party. #4 Burlap sachets filled with flower seeds or candy. #7 Hot chocolate jars are an affordable and tasty favor idea! #8 Lucky horseshoe is a great option both as a wedding favor and place card holders. #10 Cowboy boot salt and pepper shakers.